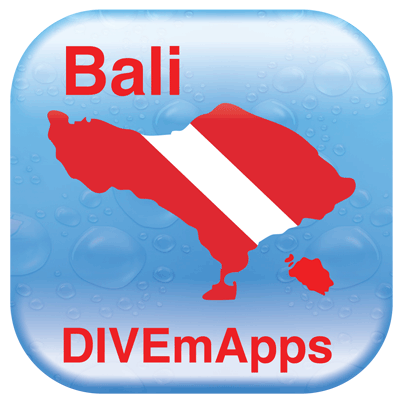 Bali, Indonesia – Canadian publisher DIVEmApps, Inc., announced today that it has successfully released its new dive guide for Bali, Indonesia. 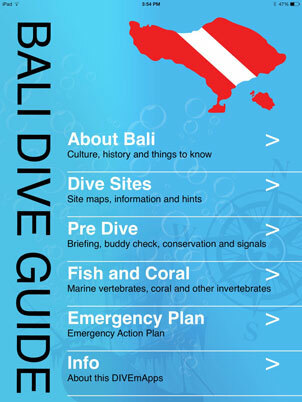 The Bali Dive Guide by DIVEmApps, is now available for download on the iTunes App store. Plan your dives, explore new sites, check out the fish and coral sections, local emergency action plan, view detailed hand-crafted dive site maps created by experienced local guides and instructors, read the Mola and Manta code of conducts, and learn about local conservation initiatives, review relevant fish signs and hand signals, plus much more. DIVEmApps are built by divers for divers! *** The Android version is expected to be released in June 2014. DIVEmApps is a Canada-based App publisher. It specializes in creating attractive and interactive Scuba Diving Apps, Digital Dive Guides, and games for iOS and Android mobile devices. This entry was posted in DIVEmApps, News and tagged Android App, bali dive guide, bali diving, dive bali, dive guide, divemapps, iOS App, iTunes, Press Release, scuba, scuba diving, travel guide. Bookmark the permalink.